One simple, straightforward thing you can do is to sign up and show your support for the Edible Edinburgh Charter for organisations. 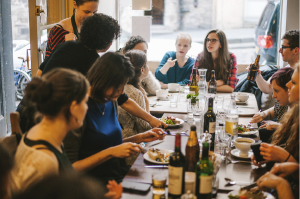 Whether you’re a business, a charity or a community group, add your support and show everyone that you want to see good food for all in Edinburgh. Add your organisation’s details below and we’ll send you a certificate celebrating your support for Edible Edinburgh, so you can pop it in your window or head office. We’ll also send you an online toolkit of resources to help you spread the word. 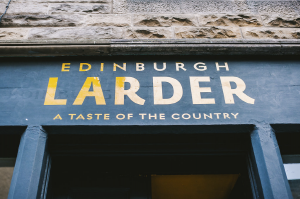 The capital’s public and private sectors have a role to play in transforming Edinburgh into a thriving, sustainable food city. If you are an employer then make sure your staff have access to fresh,healthy, local food at work. Join a scheme like the Healthy Living Award or Soil Association Catering Mark, or get a fruit delivery to the office. If you are a tourism business, then perhaps you could help promote Edinburgh as a destination with great, unique, food and drink on offer for visitors? If you serve food and drink, then can you buy more local food and train your staff to tell more people about it? There is plenty of support out there to help you to serve and sell more sustainable food. Have you got a talent you want to share with the world, or a brilliant new food or drink product? Talk to the experts about how to turn your dreams into reality. Talk to Business Gateway about your plans or if you are a young person, then try the Princes Scottish Youth Business Trust or Business Gateway. If you want to set up a social enterprise, then talk to Senscot about how to set up a business that can also benefit your community. There’s plenty of advice out there to help you get your plans off the ground.